Hrithik Roshan has decided to request the cyber crime division of Mumbai police once again to trace the person, who was allegedly talking to Kangana Ranaut on his behalf from an email address. Hrithik and Kangana have slapped legal notices on each other. The actor, 42, who was the first to send the legal notice to his Krrish 3 co-star, has demanded that Kangana apologise in a press conference and clear the air about their alleged affair which he firmly refutes. A defiant Kangana, 28, said she was not a "dim-witted" teenager and refused to apologise. Instead, she shot off a counter-notice to Hrithik warning him to take back his notice or face a criminal case. 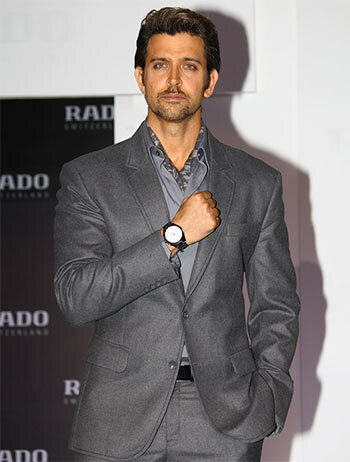 On December 12, 2014, Hrithik had first complained to the cyber crime division about an unknown person using the email-id hroshan@email.com and talking to his fans. The complaint letter was then sent to concerned police officials. "My client had filed the complaint first on December 12, 2014 regarding an imposter using the email address hroshan@email.com and talking to people. This was followed up with the authorities quite a few times. "On March 5, 2016, my client had requested once again to find out the imposter and take action," Hrithik's lawyer Dipesh Mehta told PTI. "We would again pursue the matter with the cyber crime division as this is the crux (of legal battle between Hrithik and Kangana) of the whole matter. We are confident that the authorities would nail the person at the earliest, and this would put the matter to rest once and for all," he said. In his letter, Hrithik revealed that a young girl (apparently implied to Kangana) has sent a lot of personal stuff on the email address hroshan@email.com. 'A young girl sent a lot of photographs and film clips on the email address hroshan@email.com thinking that she is sending it to me. I believe the said material if used wrongly can ruin my reputation and the girl completely,' the letter added.